This crust is AMAZING!!! Ever since I discovered this recipe my family requests it at least once a week, sshh ... sometimes we have it twice. It is so simple and quick to make, plus there is no need to feel guilty about eating this pizza, talk about healthy fats. 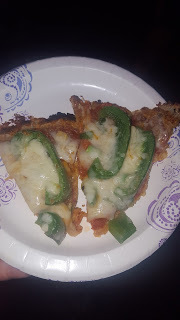 Top your pizza how ever you want, we top ours four different ways, My daughter likes hers with pepperoni and cheese, my son likes his with pepperoni, some veggies and cheese, I like mine with veggies and less cheese, and my hubby likes his with everything and jalapenos. 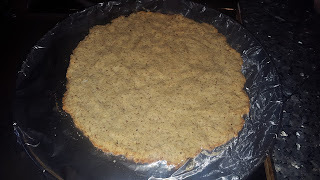 Make sure you bake this on tin foil, it gets stuck to the bottom.